There are a variety of different methods orthopedic surgeons can use to perform a total hip replacement surgery. Doctors can use 3D mapping techniques, surgical assistance robots, or they can also use more traditional methods, such as using a cutting guide and placing the artificial hip implant in by hand. One of the questions often asked is whether it matters what surgical approach a doctor uses. This is the focus of a recent news article from Inspire Heath. The orthopedic surgeon who authored this article said he deals with prospective hip replacement patients on a daily basis. This should come as no surprise with hundreds of thousands of procedures being performed each year.As our Boston hip replacement injury lawyers can explain, while there are many different techniques for performing a total hip replacement surgery, the likelihood of success is not very high if the artificial hip or some tool used during the procedure was defectively designed. In some cases, we are dealing with a defectively designed artificial hip joint. For example, the Pinnacle ASR hip was designed and manufactured by a company called DePuy. The hip was designed with a metal-on-metal joint. This was a very unusual design, because most article hip joints use ceramics, cements, and polymers, along with metal in some cases, but they do not use all metal construction in the joint. According to their marketing department, the advantage to this metal-on-metal hip joint was that metal is smooth and there would be less friction. This may be true if the metal stays perfectly smooth, but that is not what happens when it is put in a person’s hip and subjected to pressure and movement. Once the hip joint starts to degrade, we have rough metal scraping against metal, and that leads to a whole host of problems. It can cause fine metal shards to become lodged in surrounding tissue, and this will cause pain and suffering. As the joint continues to break down, it will eventually reach the point of failure. An artificial hip is supposed to last for 10 to 20 years. If you have an artificial hip implant for a only a couple of years and are told you need a new implant, unless you have been in a serious accident, there is likely something wrong with the implant, and you should speak with an experienced hip injury lawyer about this issue, as you may have a valid case. Strict liability. These claims assert the product itself is defective or unreasonably dangerous, even if the manufacturer wasn’t negligent in making it. Manufacturing defect. This theory asserts defendant was negligent in the manufacturing process, usually due to shoddy workmanship or poor-quality materials. Design defect. This defect occurs when the product design is inherently dangerous – no matter how carefully manufactured. This is often cited in cases with medical devices, which are often rushed to market before they can be adequately tested. Failure to warn. This theory is asserted when a product carries a non-obvious danger that could be mitigated if the manufacturer/ distributor provided an adequate warning to the user. Breach of warranty. Warranties are statements by a manufacturer/ distributor regarding expectations of those products. Warranties can be express or implied. Consumers have a right to trust a product is reasonably safe unless specifically disclaimed by the maker/ seller of the product. Defective hip replacement product claims may fall into several of these categories, and more than one theory could be asserted in a claim for damages. In addition to a complete or partial failure of the hip joint, we have also seen cases where the metal shards enter the patient’s bloodstream and cause a form of blood poisoning known as metalosis. While the artificial hip implant companies will try to argue that this is a putative disease that does not really exist, when you speak with actual patients who have suffered from metalosis, you will learn that it is a very real medical condition and far more than a fake condition, as some have argued. However, it is not only the hip implants themselves that can be defectively designed. Some methods of implanting an artificial hip use what is known as cutting guide. For anyone who has experience with woodworking, you will recall that a carpenter’s jig can be bought or made to help with a particular task by showing where you to cut and keeping you from making a mistake. 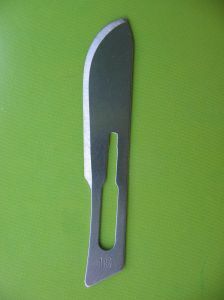 This is similar to how a surgical cutting guide works. They are made by the makers of the artificial hip implant. The reason they are important is because an artificial implant requires a very precise fit. This will prevent movement and will reduce the risk of a partial or total device failure. In the case of artificial knee implants, we have seen one company that was told by the U.S. Food and Drug Administration that their cutting guide was not suitable for market and should not be shipped. The company president chose to ship them anyway, knowing that they were defective and did not tell doctors about this problem. When it was discovered that they were shipped anyway, there was an investigation which ultimately led to criminal charges. This resulted in a sentence involving federal prison for at least one company executive. While this may be one of the more extreme examples of putting profit over the safety of patients, there have been many incidents that resulted in a great deal of pain and suffering where making money was clearly the priority of these medical device manufacturers. With respect to this article, the doctor describes that the human hip is encapsulated with muscles, ligaments, nerves, and blood vessels that provide blood to the rest of the leg. The more damage that is done to these structures during surgery, the longer and more painful the recovery will be, and the greater the chance for serious complications. For this reason, it is best to do the surgery in a way that will minimize the destruction of the tissue surrounding the original hip joint. To achieve this, the anterior approach may be preferred, because it will let the surgeon access the joint and remove it without cutting through the ligaments and nerves and other tissues. This will make the recovery much quicker and less painful. It will also mean the patient is up and walking around quicker. Once a patient is up and walking around, there is a much lower chance of the patient developing a serious clotting disorder, such as deep vein thrombosis (DVT), that is common after surgery. This is a condition where blood clots are allowed to form deep in the veins of the legs. Once they are formed, they can break loose and travel through the circulatory system to the lungs. If they puncture the lung, it can result in an often-fatal medical condition known as a pulmonary embolism. The clots can also travel to the brain where they can deprive the brain of much needed oxygen, and that can result in a stroke. The use of robots to assist with the surgical procedure can also make the process go more smoothly by adding to the overall level of precision.